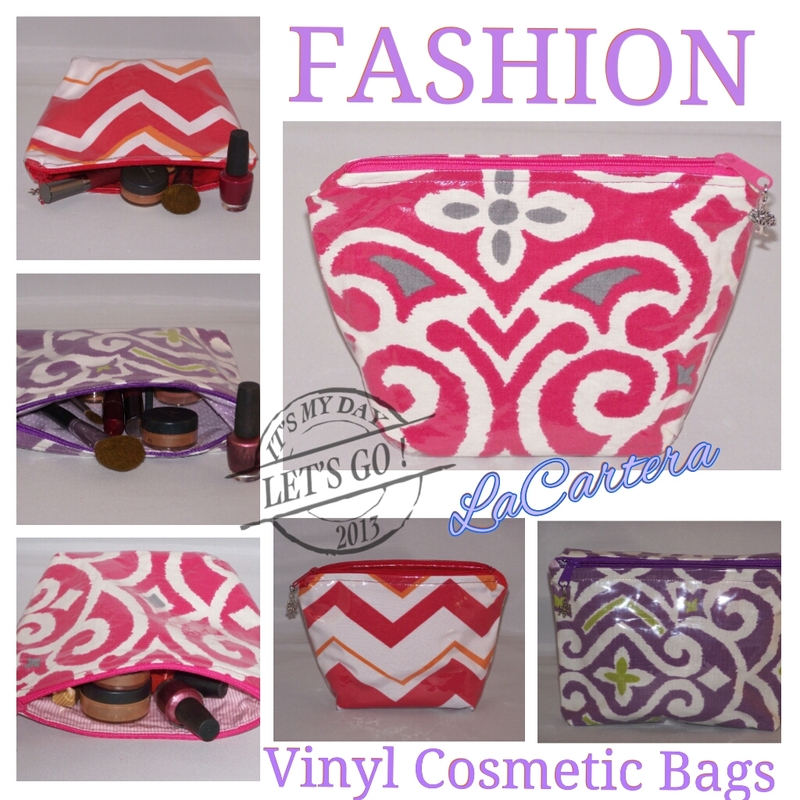 I’ve been working on colorful cosmetic bags, and I’m still working on the right amount of vinyl and fusible vinyl to use, but I had to share another look. I will post a product review on the fusible vinyl soon. 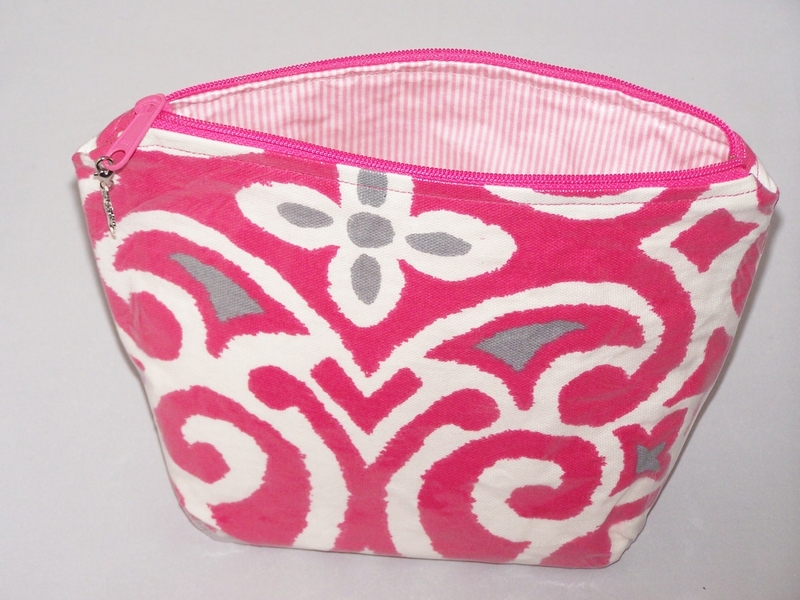 So while I aim for perfection I wanted to introduce the pink cosmetic bag. 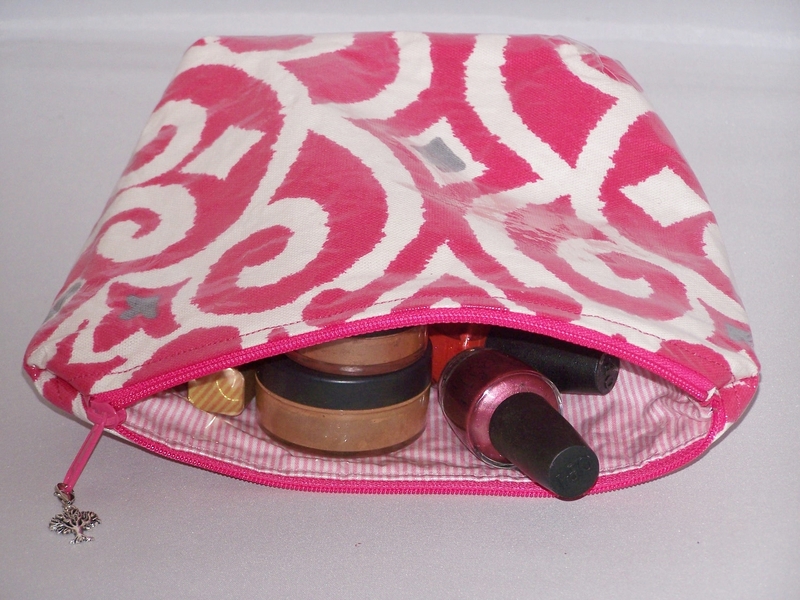 The pink cosmetic bag is made with fusible vinyl inside and out. It’s super soft to the touch and is 10 inches wide and 7 inches in length. The flat bottom keeps it standing tall. Since pink is my second favorite color I’m kind of partial to this one so far. 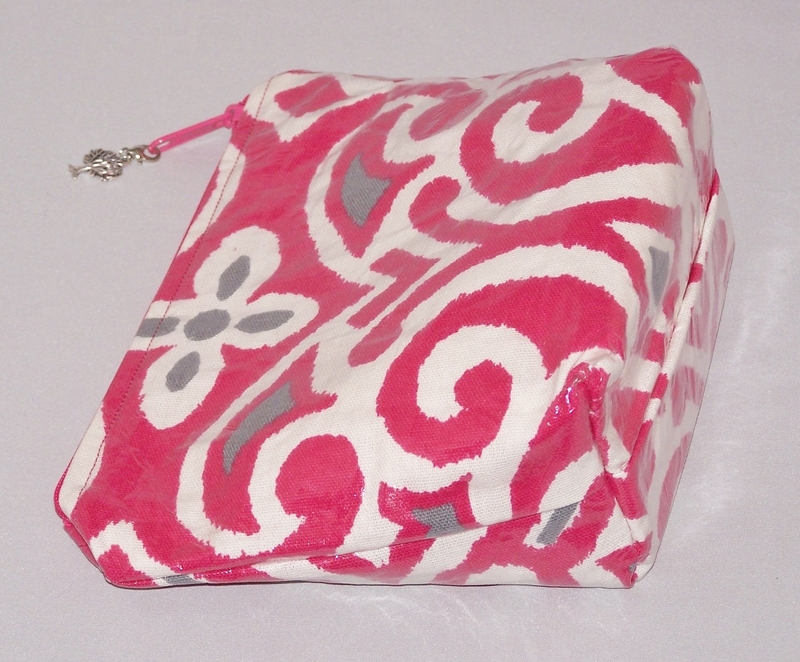 Perfect for travel or just throw it your tote bag! Here’s the line up so far. Next Post Stop buying small spools of thread ! my vote goes for a hit.